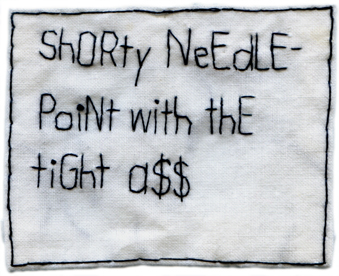 “ShORTy NeEdlePoiNt with thE tiGht a$$.” 2013. Embroidery on fabric. Text by @EmbroideryPoems (from art opening conversations). 3.3.” x 2.75″.